Jeff has been playing music since age 9; trumpet was his first instrument and he picked up electric bass in college. Jeff majored in jazz arranging in college, jazz composition for his master’s degree. He teaches in the Contemporary Writing and Production Department at Berklee College of Music, Berkleemusic.com (arranging online), the City Music Program through Berklee, and also teaches trumpet and electric bass lessons at Music Maker Studios. Jeff’s personal feeling for any student that wants to learn music is that it should be FUN! His philosophy for the beginning student: keep it simple, learn music that you want to play, and HAVE FUN! The rest will fall into place … that said, it does take a lot of hard work, but that does not mean the learning process can’t be enjoyable. 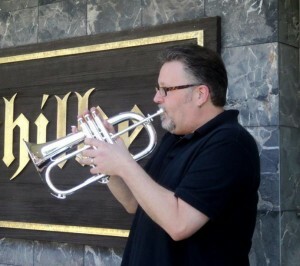 For more information about Jeff Perry, and to hear examples of his playing, go to www.jeff-perry.com.